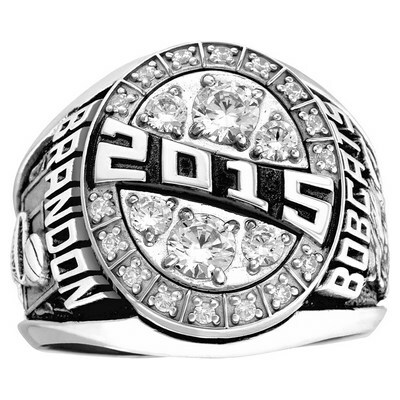 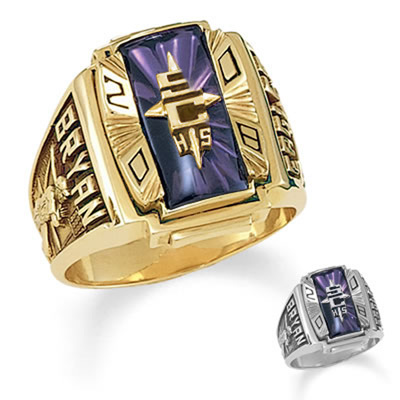 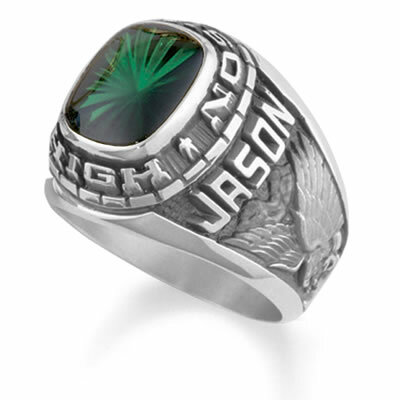 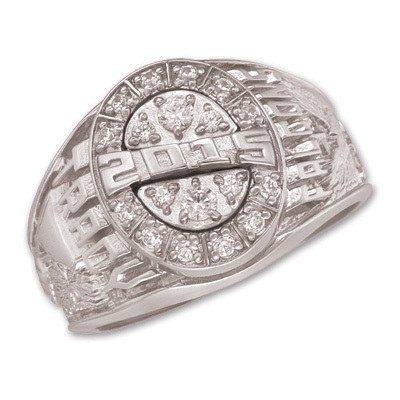 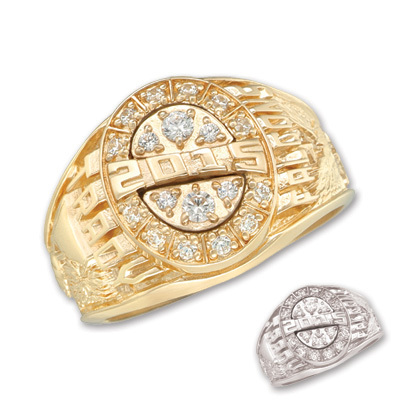 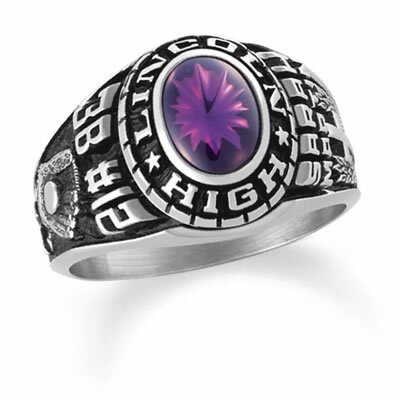 Guy's class ring makes an incomparable statement with the year date emblazoned across the top and surrounded by cubic zirconia accents. 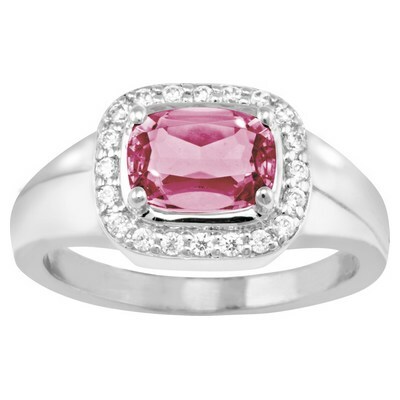 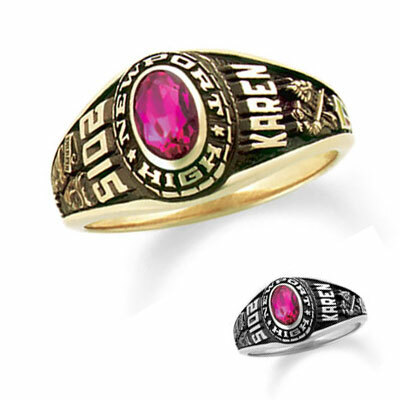 Girl's traditional class ring features an oval stone surrounded by cubic zirconias or diamonds. 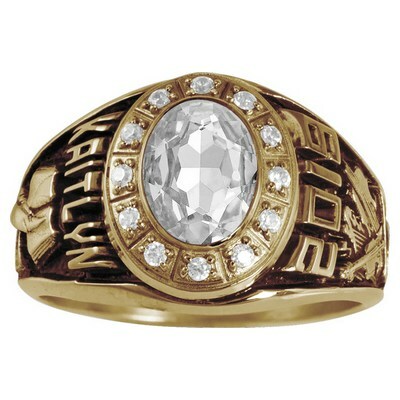 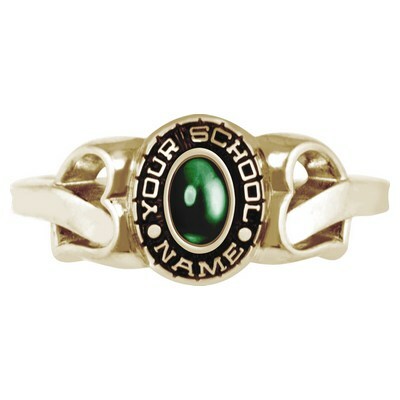 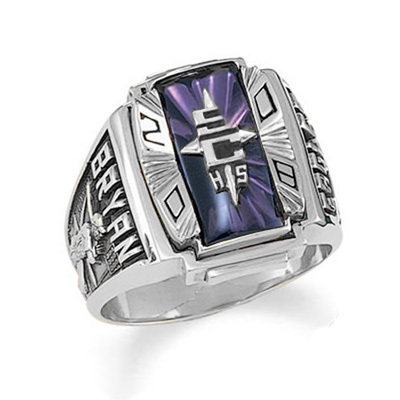 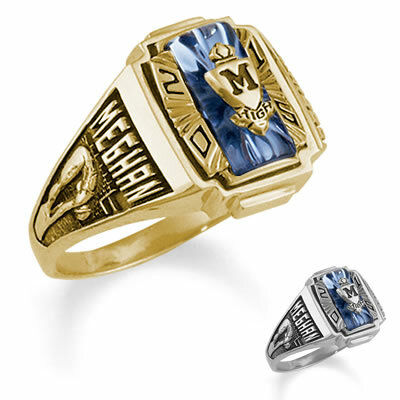 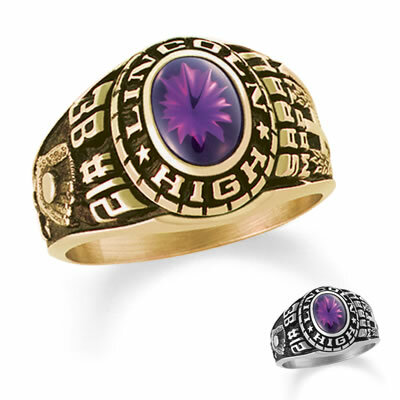 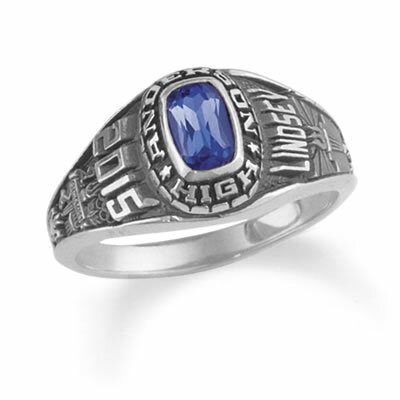 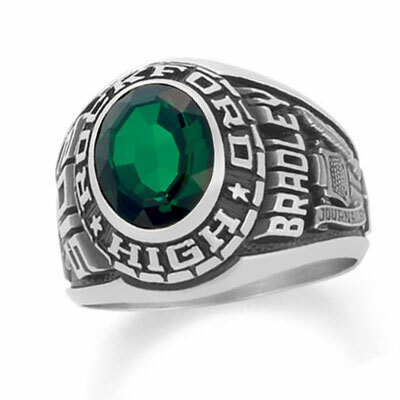 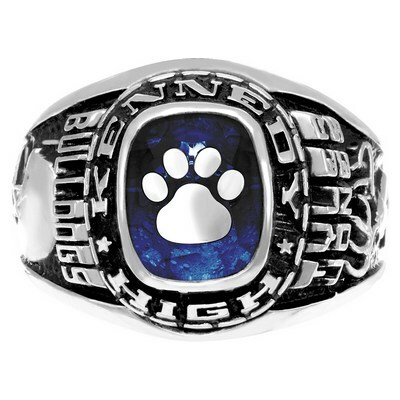 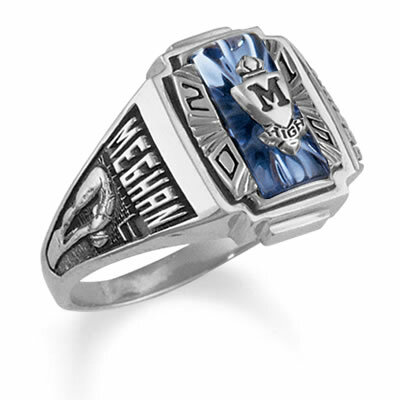 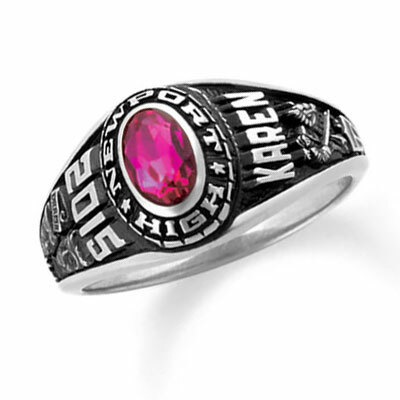 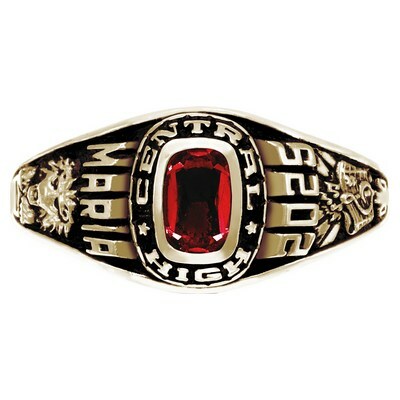 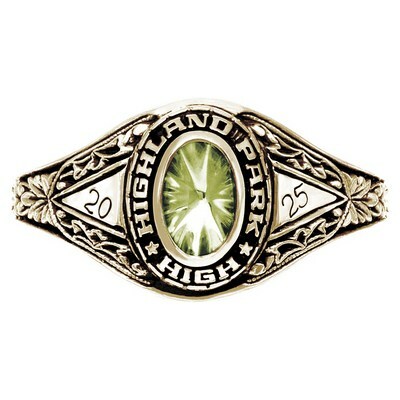 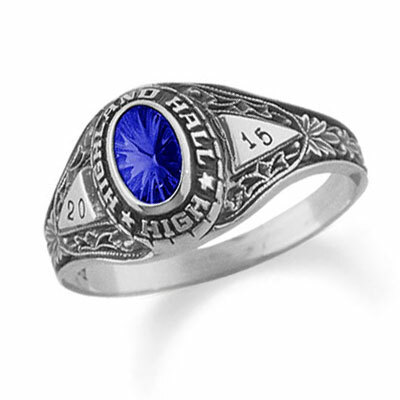 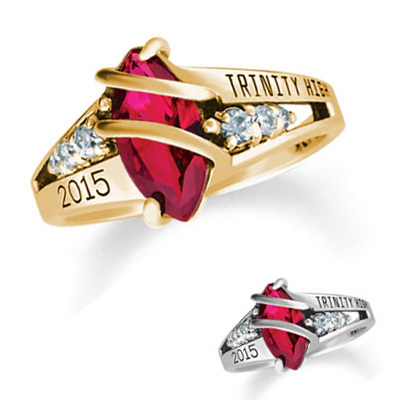 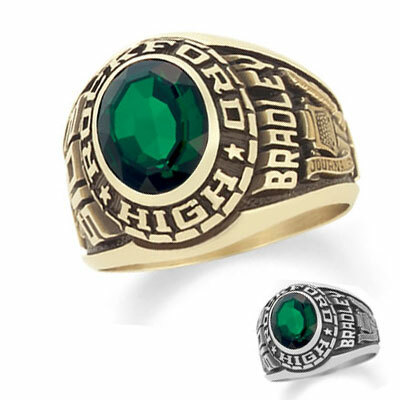 With intricate lace pattern design work, this girl's class ring features an oval stone surrounded by your school name. 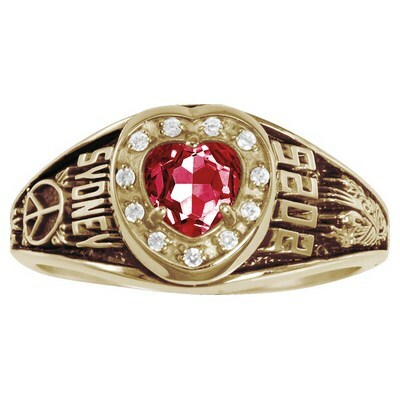 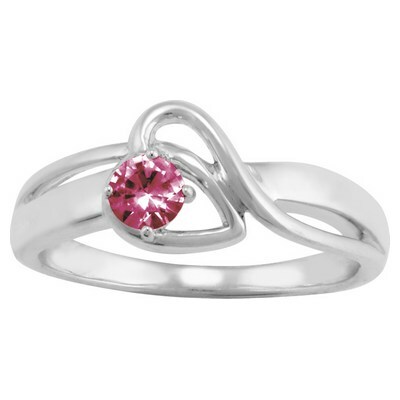 Whimsical girl's class ring features a sideways heart set with the stone color of your choice. 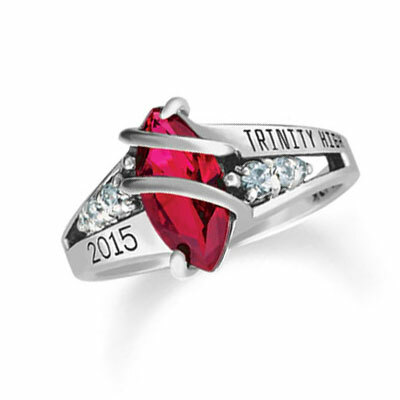 Choose to celebrate your memories by personalizing the sides of the ring. 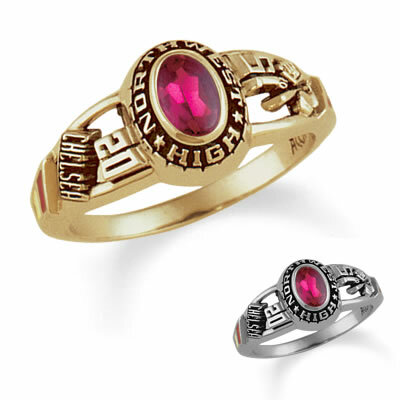 Girl's fashion class ring features a pear shaped stone framed by glittering accent stones and your personalization on four different areas. 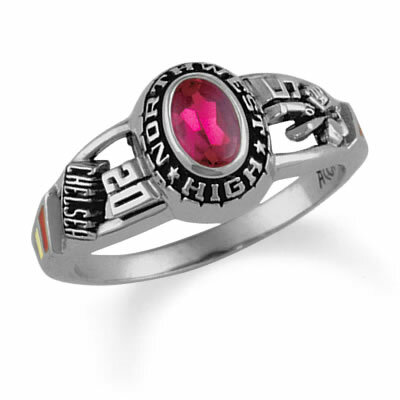 Unique heart styling on the sides, this girl's class ring features a beautiful cabochon stone surrounded by your school name. 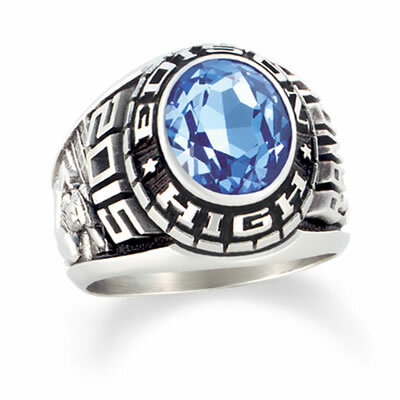 Class ring makes a striking fashion statement that you will enjoy wearing for years to come. 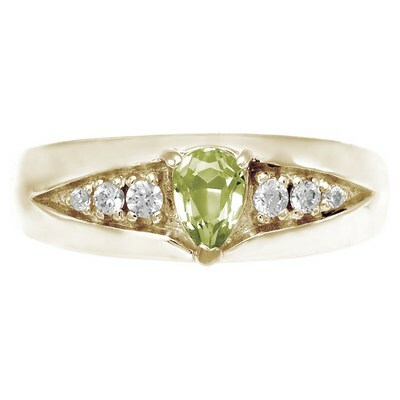 A cushion-cut stone is surrounded with sparkling cubic zirconia accents.